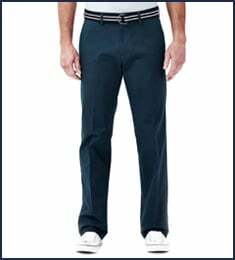 Big & Tall E-CLO™ Stria Dress Pant is rated 4.7 out of 5 by 45. 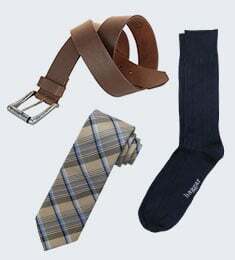 Rated 5 out of 5 by lefty58 from Go To Slacks I am a long-time customer of Haggar. As a big & tall customer I find that the Haggar slacks consistently fit better and wear very nicely for the business office setting. 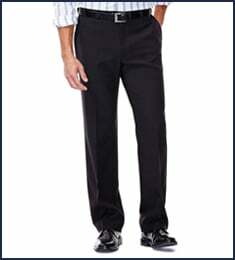 Rated 5 out of 5 by Cajun 200 from Excellent Fit Great pair of dress pants. Looks good and comfortible fit. Rated 5 out of 5 by Bubba Boucan from The Best I have to wear a suit to work. These are the best cut and most comfortable pabts I own. I also have a pair in a kacki color. Same yhing. True to size, will not wrinkle and the fit is so good You will forget you are wearing pants! 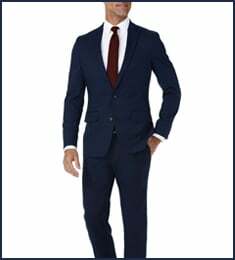 Rated 3 out of 5 by Eddie B from Comfortable but quality is lacking Bought this pair of pants and the fit is excellent, able to move very comfortably. Issue that I have is with the cuff, one leg cuff is attached correctly but the other appears to have not been attached so there is no cuff, just the cut end of the pants leg. Rated 5 out of 5 by Bubba Boucan from Amazing Slacks! I just got these a week ago, and I am very impressed. The fit is true to measurement; ie, 34 is 34. The fit and hng is Top- Notch. Better than any pair I have owned. Excellent Drape. I have been talking about these since the day they arrived. Which was fast. I will be buying another pair or two in the near future. Rated 5 out of 5 by DougMonos from Great fitting pants I am a hard man to fit and the as e Haggar pants fit me exceptionally well. They are light, but durable. Rated 5 out of 5 by DougMonos from Best and most comfortable pair of pants - EVER I bought these direct from Haggar at a fantastic price and received them in just a few days. Great value, great service, easy to order, and great fit! !